You are standing on the edge of the cliff that is adulthood, ready to base jump into next adventure. Satan knows the best time to attack is when you are most vulnerable. You are not a kid anymore but not quite an adult. You are about to experience your first taste of freedom. Make no mistake, the attack is coming. There is no way to dodge it. Your only option is to be prepared to through it. 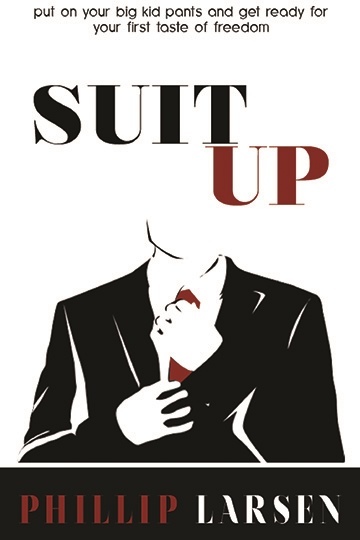 Suit Up!" "As the founder of Fieldhouse media, my goal is to interact with student athletes and educate them on how to make social media an asset while avoiding some of it's dangers. Social media isn't going anywhere anytime soon and Phillip explains it in a way that anyone can understand from someone who has a casual relationship with social media to those who are heavy users. Reading Phillip's chapter on social media will help you better understand how to effectively navigate social media in the future!” Kevin Deshazo @KevinDeShazo Founder, Fieldhouse Media"